As experts prepare to analyze the flight recorders, the number of theories speculating about the demise of the Russian plane that killed 224 people on Saturday is proliferating by the hour. RT separates the facts from the conjecture. What was the sequence of events leading up to the tragedy? The Airbus A321-200 took off from the Egyptian seaside resort of Sharm El-Sheikh at 5:51am local time (3:51 UTC), in the direction of St. Petersburg. Some 22 minutes later, air control, according to local officials, lost contact with the jet, which by then had climbed to 9,450 meters (31,000 feet ). This is the big question, as of now. Islamic State (IS, formerly ISIS/ISIL)-affiliated militants, based in Sinai, stole a march on officials, when they claimed responsibility for the downing of the plane. Russian authorities – backed up by Egyptian officials – have dismissed the boasts as being out of hand, saying the terrorists in the region do not possess the specialized equipment necessary to shoot down a large passenger jet flying at cruising height. Nonetheless, several major carriers have diverted their planes from the route, at least for the time being. Could a problem with the plane or its crew have caused the disaster? Some contradictions here. Siberian operator Kogalymavia, also known as Metrojet, has said that a technical malfunction, even one as serious as an engine fire, could not have led to such a rapid disintegration, and Egyptian authorities say the aircraft passed the pre-flight check without incidents. When will there be more clarity? 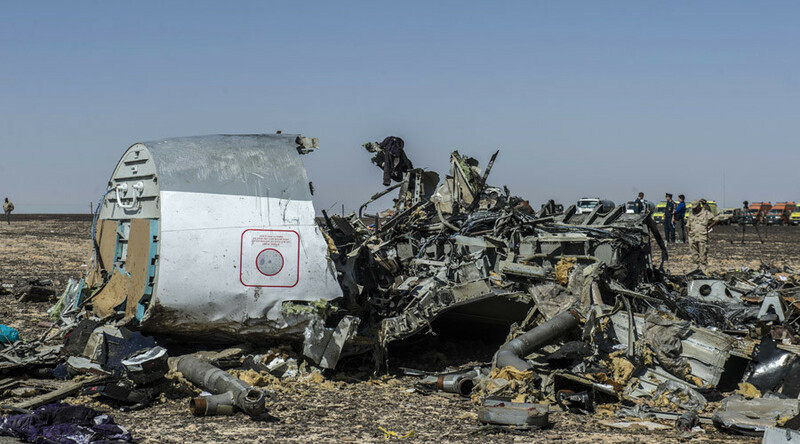 The flight recorders have now been taken to Cairo, with Egyptian officials set to lead the investigation, with the aid of Russian specialists. A team of outside experts has been dispatched by Airbus from France, and two more US investigators will join the analysis, as the engines for the jet were manufactured there. Fragments of the plane will also have to be gathered, meaning that definitive analysis of the causes of the crash are likely to be named after weeks, if not months.